Opening of hot water 1300 years. One of Japan's famous hot springs where Matsuo Basho loved. Please enjoy the venerable Yamanaka Onsen no Yu which continues to be honored from old days. What appears in front of the hot water corridor colored with warm light is "House of Open-air Bath". Beautiful natural beauty spreading in front of the eyes, natural BGM playing the birth of a river and small creatures, and comfortable river breeze stroking hot springs and skin warming from the core of the body. 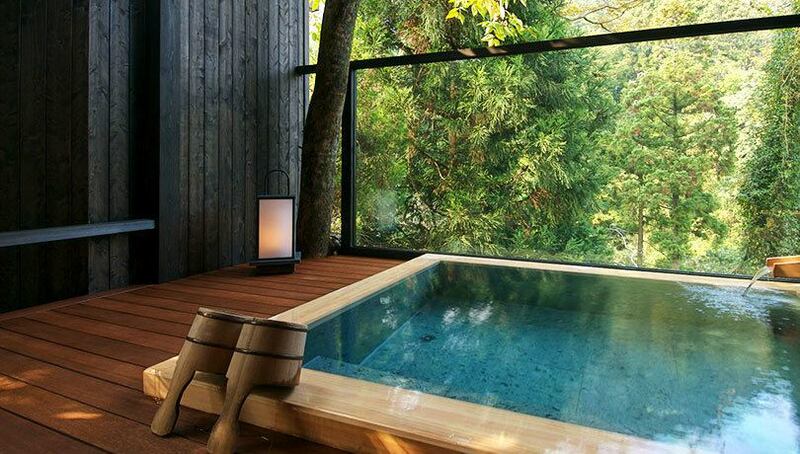 The open-air bath of the hotel was designed to enjoy the "best spring quality" admitted by Basho and the "unity with nature" felt by the five senses. A popular private outdoor bath that will be filled with reservations almost every day. Harmony interwoven with atmosphere design and natural valley beauty is a reputation. Please spend a special time loving nature, soaked in loved ones and famous hot springs. Compared to outdoor bath, we can not expect scenery and sense of unity with nature, but clean bathroom is safe for cleanliness and comfort. Recommended for bathing to wash your body and head, bathing for relaxing and enjoying hot springs in the room. Taking a rest on the bath! There is "Yu Uchida" which allows you to take a rest on a hot spring. 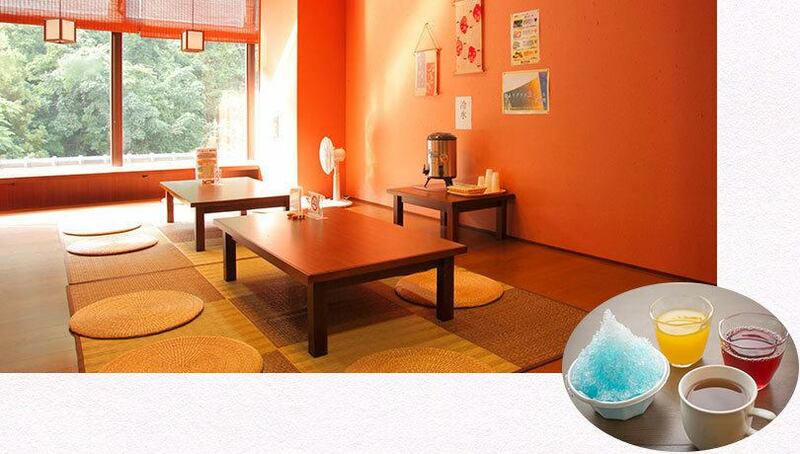 We offer services such as free drinks and shaved ice that you can enjoy freely. Please use it for a brief stop or a meeting. ※ The service menu varies according to the season.